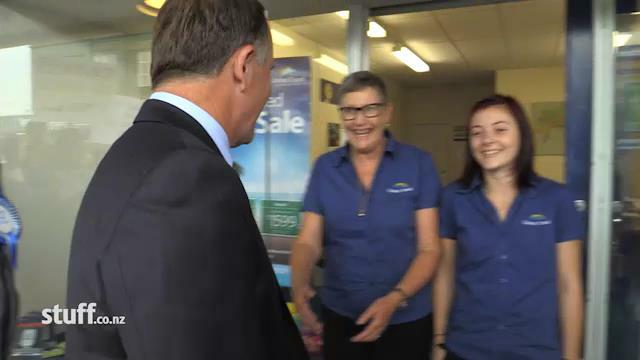 These photos are screen grabs from a Fairfax video of a Dargaville street walk by PM John Key during the campaign for the Northland electorate. They appear to show him shaking hands with the same pair of women twice but in different locations. Were the women having Key on or was this just more fakery from the National Progressive team? They were probably just having a lark. For some reason, Key is a big hit with a lot of ladies (the ones who still refer to themselves as ladies that is).